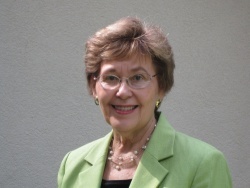 Dr. Judith V. Boettcher is a nationally known consultant and author on online and distance learning. Over the course of her career, she has worked with faculty at Penn State University, Florida State University, the University of Florida and Duquesne University in Pittsburgh. Judith is also the founder and principal of Designing for Learning (www.designingforlearning.info). She speaks at teaching and learning conferences, conducts faculty workshops on best practices in online learning, consults on program designs for online and distance learning, and coaches individual faculty on course design. Judith is the coauthor with Rita-Marie Conrad of The Online Teaching Survival Guide: Simple and Practical Pedagogical Tips published by Jossey-Bass (2010, 2016) and the Faculty Guide for Moving Teaching and Learning to the Web (1999, 2004) published by the League for Innovation. She is the author of many seminal columns in higher education magazines and journals, Campus Technology(formerly Syllabus), Innovate, and EDUCAUSE. Her columns in Campus Technology were a regular feature for over fifteen years. She is also the editor and coeditor of books on planning, design, and implementation issues of higher education technology and distance and online learning. She was a member of the editorial team for two editions of the four-volume Encyclopedia of Distance Learning, 2005/2009 Idea Group. Judith also edited the book of 101 Success Stories of Information Technology in Higher Education: The Joe Wyatt Challenge (1993). Earlier in her career, Judith was the director of the Office of Interactive Distance Learning at Florida State University, the director of education technology services at Penn State University, and instructional designer and manager for PLATO services at Control Data Corporation in Minneapolis, MN. Judith also served as executive director of CREN (Corporation for Research and Educational Networking) from 1997 to 2003, helping to launch the innovative TechTalks webcast series on higher education technology applications. Judith treasures her work with faculty throughout her career. Judith completed her Ph.D. in education and cognitive psychology at the University of Minnesota and earned M.A. and B.A. degrees in English and Education from Marquette University in Milwaukee, Wisconsin. Judith has four children and eight grandchildren and enjoys traveling and visiting with them, particularly during the summer when the children are on vacation. When there is time, Judith plays at art quilting and watercolor.